Good morning everyone! 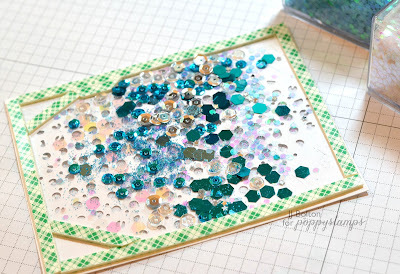 I have a quick shaker card for you today using one of my favorite background dies, Jourdana Collage. This die is great for creating texture and I love the random look of the design. Instead of backing the die cut with colored card stock, I thought I'd do a peekaboo shaker. Here's a closeup of the shaker innards;) I've made lots of shakers and I've never thought had too much filler, so I always go for more! I also use foam tape over the dead spots in the design, so that the shaker filling doesn't fall where it cannot be seen (see those two pieces of foam in the corners?). 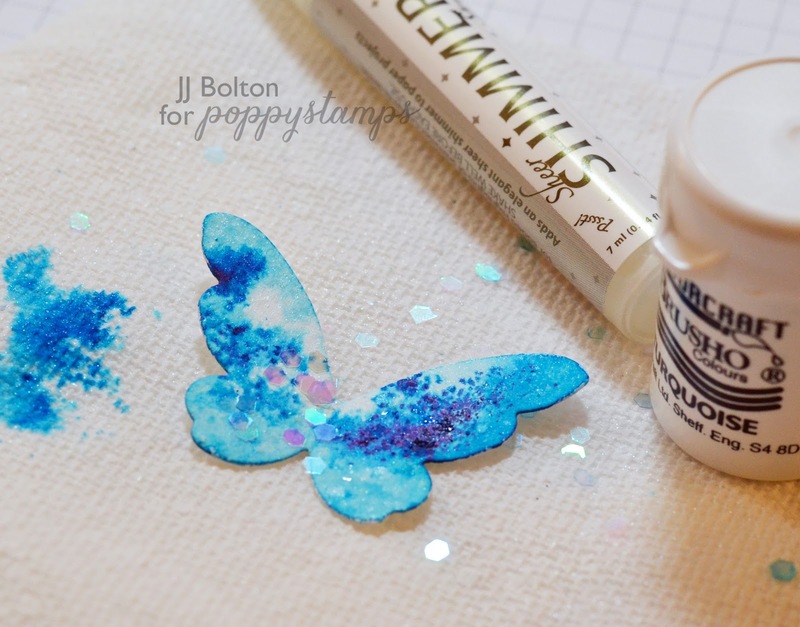 For the butterfly, I watercolored it, added watercolor powder, sprayed it with white mist, sprayed it with shimmer mist, and then sprinkled it with hex glitter. Here's a close up of the final card with the subtle shaker. Thanks so much for stopping by! Have a great week! You are so clever, JJ! Love this unique design and your butterfly is absolutely gorgeous! 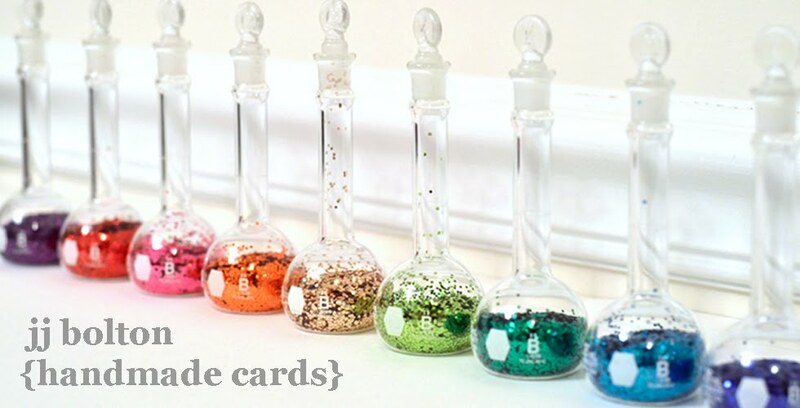 I'll bet it's really sparkly IRL, too! That is a really cool die! Love that you used it for a shaker! Oh my word! LOOOVE this! That background die is awesome! Hi JJ! Miss visiting your blog--so glad I stopped by! 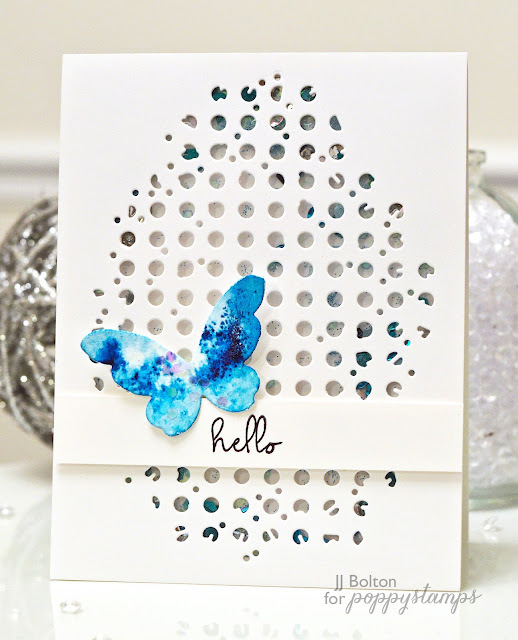 Love this cool shaker card and that butterfly is simply stunning! 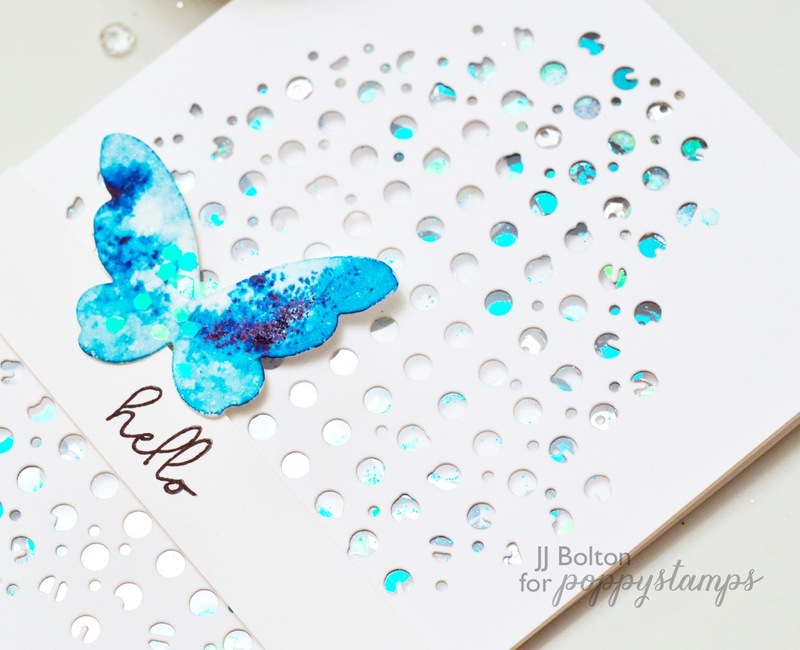 Gorgeous card, JJ! Love it!